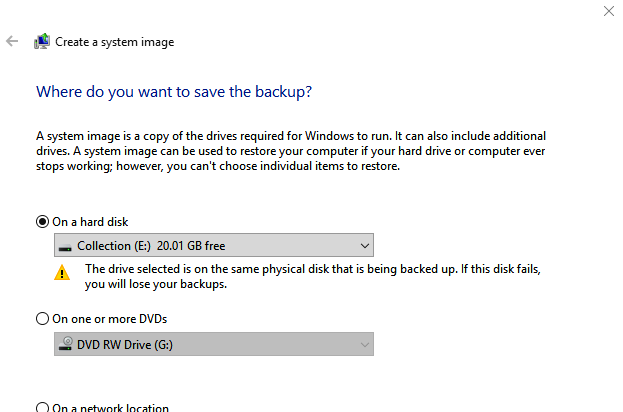 An Windows OS image backup is also referred as a full backup. 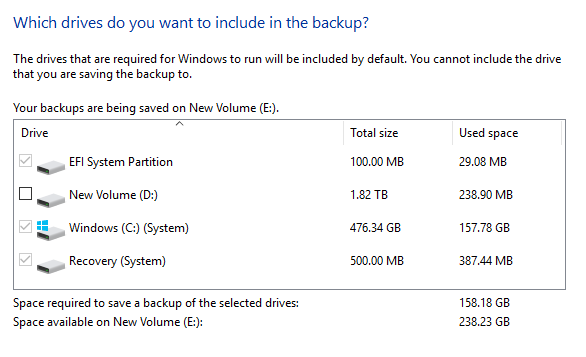 In windows 10 which is also similar to previous versions of the Windows OS like Windows XP, 7 and 8 includes a feature to create OS backup of your entire computer system, even if it has one or more than one hard drives. This feature is called as Windows Image Backup. It includes everything from the Windows installation files to device drivers, the applications and also your personal files. On your System hard drive Windows OS image backup is used to copied each and every thing all things are compressed but in a very large file like operating system, boot menu, computer programs, and data files. If any disaster happens to your Windows installation and it becomes useless. Through OS image backup you will be able to run again all the system quickly. Everyone knows the importance of a full backup of your computer system as it could help the user to recover from any sort of system failure, different types of errors, or malware. In addition, updates are compulsory on Windows 10, that means if there is an issue of booting your computer because of a bad driver or a out dated system, you’ll need a mechanism that can recover and fix the problem as quickly as possible, that time you need to Boot Windows 10 in Safe Mode or recover backup. 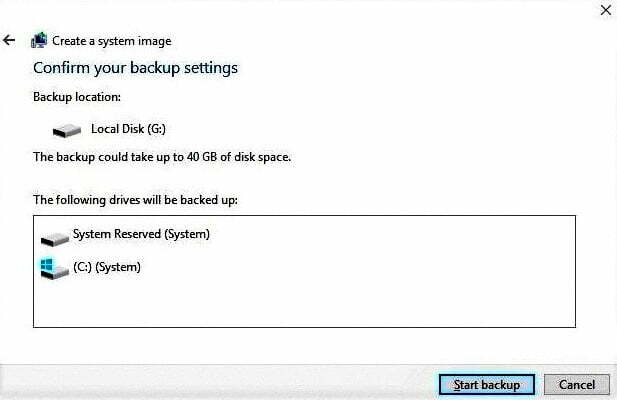 Remember the Windows OS backup will take a few hours according to your system’s speed, you can continue to work on your system as it backs up. Usually, I prefer to start the Windows 10 Image Backup of your system at the end of workday, so it doesn’t slow them speed of your system. 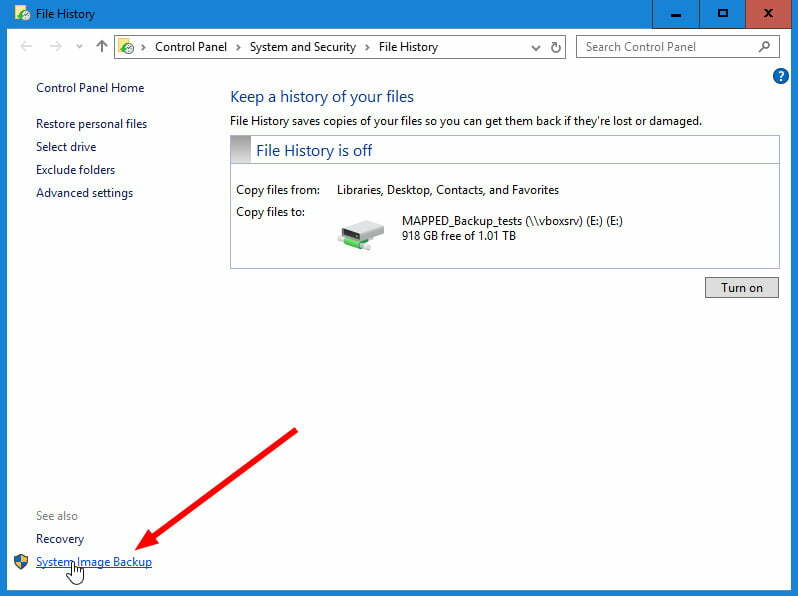 This article will tell you how you can create a full backup of your computer using System Image Backup on Windows 10, and how to recover the important files from your computer system. First you have to plug in your external hard drive that contains enough space for backup save everything you want to store on your internal hard drive and also make sure that your window should access that drive. Then, you will be able to review your selections. If everything will look as it should then go to the start backup and click on “Start backup.” Depending on the number of files and devices you have selected for backup, the backup process can take time upto 10 minutes to an hour or more according to your system’s speed. 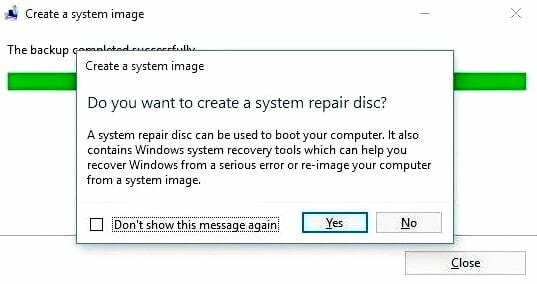 When the backup process will complete, a message will appear asking that if you want to create a system repair disk. If your computer system has an optical drive then you can create the disc. This will be optional, so you can skip this step if you want. If the back up process is not completed then you have to create a Recovery Drive. You can plug in any empty USB drive. Then go to the Control Panel’s Recovery tool. From there click on Create a recovery drive, and follow the instructions ahead. With an image backup in sleep mode, you can rest more easily knowing that if something happens to your system’s Windows installation, no matter a hardware failure or software errors, you can return to normal easily in a short period of time. If you need to restore the backup of your system image, first make sure that the drive containing the backup image is connected to your computer. If you are still able to boot into your Windows then: Select Start menu > go to Settings > go to Update & security settings. From there select Recovery in the left pane and then click on to the restart now. If Windows still not boot and you have a extra Recovery Drive: Insert that Recovery USB drive into a USB port and boot your computer again. If your computer skips the USB drive and attempts to boot your Windows, reboot the computer and enter your Setup screen by pressing F2, if it does not work check your manual settings. After entering into the setup look for a boot or boot order option. Once you have successfully booted the USB drive, select a language that suits you. Once you are in a recovery environment than you can select Troubleshoot problem after that select Windows 10 Image Backup System Image Recovery and follow the given instructions in that.